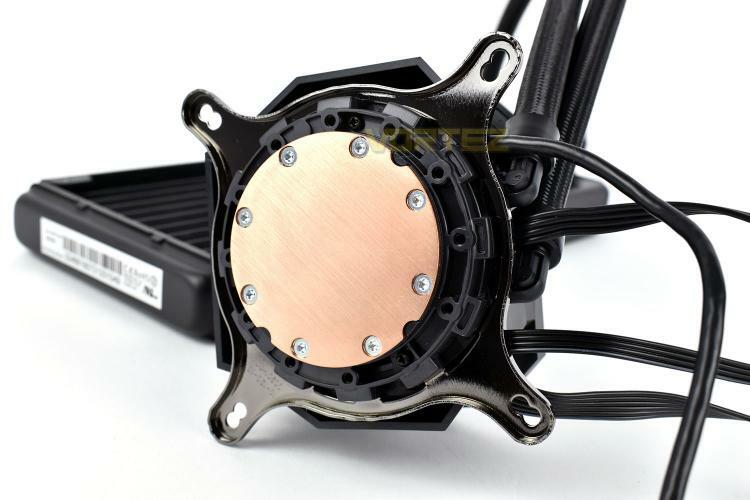 Straight away we’ll focus on the most interesting part of the cooling loop, the pump enclosure. ROG have placed a 1.77” full-colour OLED display on the top, as well as a strip of LED lights, to give the cooler a proper “wow” piece. This isn’t something we’ve seen on any other product as of yet so we’ll be interested to know just how versatile it is as a display. 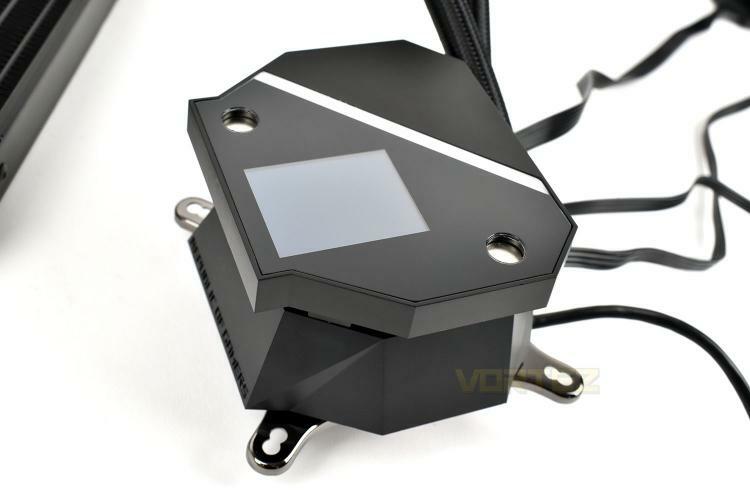 Under the display is an embedded fan, designed to expel air out of the sides, this fan is rated to spin at 4800 RPM, so very well may be audible, however, one of the biggest problems facing users of AIO systems such as this is a lack of airflow around the CPU socket. 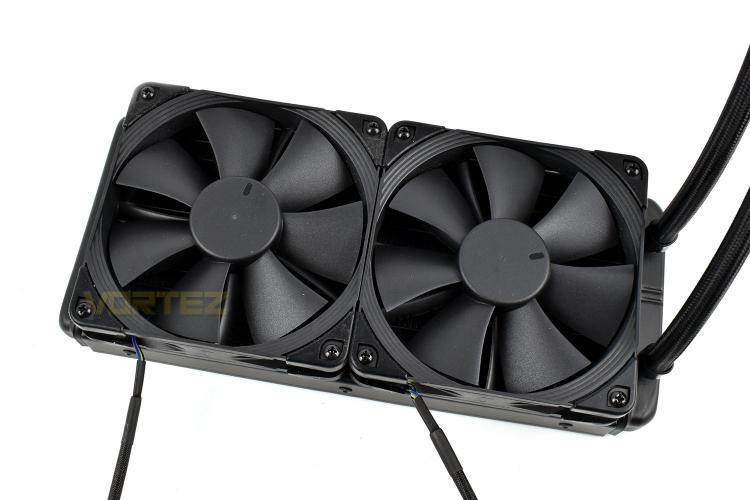 CPU power delivery VRMs, M.2 drives and other surrounding components can get increasingly hotter with stagnant air, this fan aims to reduce this. The two silver circular cut-outs on the top face of the cooling block are magnets; they attach to the cover to make installation easier. 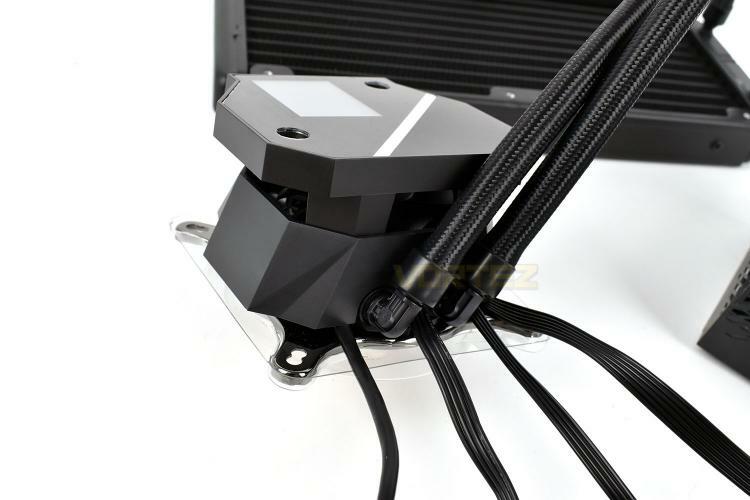 Out of the side of the pump housing are four separate cables, one connects to a USB header on the motherboard, one is for SATA power, another is a 3-pin fan header to provide the motherboard with pump speed readings and the fourth cable is for fan-speed control of the two Noctua fans. Looking at the coldplate, there’s nothing fancy here, just a solid, smooth piece of copper. There’s no included thermal paste and the base doesn’t have any pre-applied so be sure to purchase some with the Ryujin. Much like the base of the cooler, the radiator is a fairly standard affair too. The 380mm long braided tubes are longer than usual, giving a little more freedom on placement options, particularly in larger cases. Noctua’s NF-F12 fans have been included, known for their excellent performance and long lifespan, however, even Noctua themselves admit these fans aren’t as quiet as alternatives; they’ve traded acoustics for outright performance; however, we’ll see what Noctua consider as “noisy” when it comes to our testing. 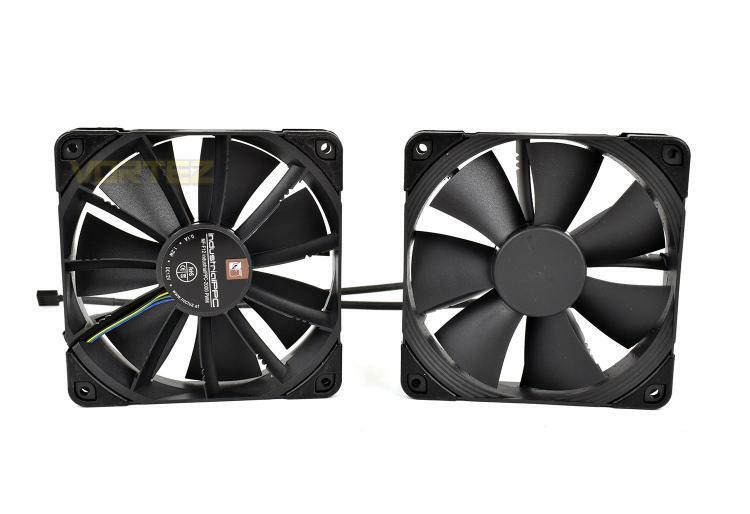 These fans have a fantastic operating range from around 400 RPM right up to 2000 RPM. 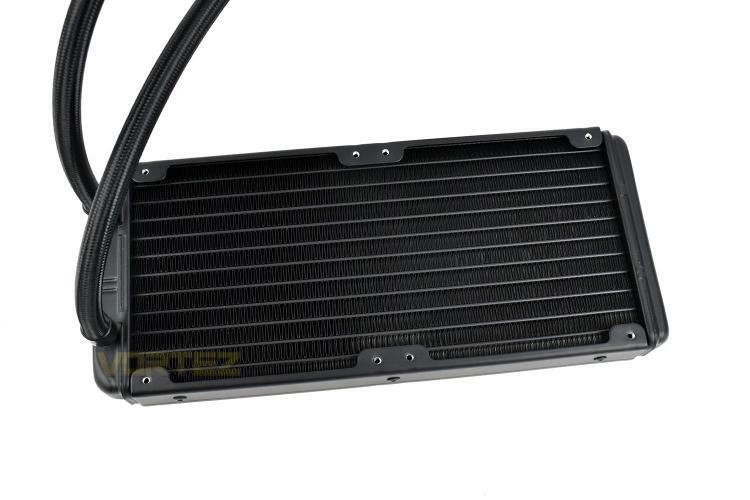 Installation onto the radiator is simple enough and thanks to the pre-mounted rubber corners on the NF-F12 fans, vibrations into the radiator should be kept to a minimum.